Research the treadmill. Some a just garbage. Get one that is sturdy. Yeah that's what I'm afraid of. Definitely need something that can be reliable for 3 people. Good idea to get the wedding planning out of the way early, it takes forever. And I'm so impressed with all the extra income. Looks like you'll have no problem reaching your 2013 goals. I would love to hear more about your workout goals. I found having a firm wedding date to be extremely motivating on that front! I definitely need to make a workout goal post, greta idea! Congrats on the side income! We hope to be at your level some day:) We are making some big changes when it comes to what we eat and our health as well. Good luck with your wedding planning! I don't know if it's too late, but did you look at places like Play It Again Sports for gym equipment? The brand new stuff is definitely super expensive, but it's not like barbells wear out, so the used stuff is usually just as good. Ha funny that you say that because my ex-boss (I still talk to them) actually owns a PIAS! We ended up not going there though because the prices were similar to buying new. Awesome job, Michelle! Hopefully you will get lots of use out of the home gym! 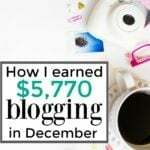 I sooo want to learn more in detail about your online income. How you get the staff writing jobs, etc. hope you do another post on it soon! Ps- loving your sisters blog so far! The setup looks great! I will definitely be making another post that is more in depth on each way I make extra income so be on the lookout! And thanks! I'm loving her blog also. MY mum bought a home gym a few years back. It got good use for about 3 months and now it sits in the corner collecitng dust and spider webs. I hope yours fairs better. Will definitely look into this! Thanks! 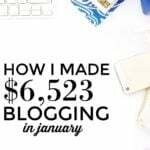 "I also have a $399 cash or tablet giveaway that will be up on my blog later today" – Looking forward to this! My wife and I have been entering a lot of giveaways recently so we will definitely enter this one. Your home gym is freaking awesome. It's definitely a goal of mine to have one someday. I would love to have that weight setup that you have, as well as a treadmill. I have been working out 5x/week and using our cruise in February as a motivator. I hope you reach your goal of paying off your student loans. When we have more savings I will consider putting more towards our student loans….would be nice to get them down to a more manageable amount. ooh yay! It's probably the same giveaway haha. And thanks! We definitely love the home gym. Totally jealous of your home gym! I'm very lucky that I have a treadmill at work plus my fiance's sister is letting me use hers whenever I want, otherwise staying healthy would be tough! The extra income has sure taken a nose dive this month, I don't know what it is but I haven't been able to close ANY ad deals – even though my stats are better and my price is the same. Weird. Oh well though, I'm not going to fuss too much about it. Thanks! And hope your extra income increases soon. I think most people have seen a decrease. Extra.income has been slow this month but hopefully it picks up this week! I have been using the Wii fit a.couple times a week which is better than no exercise! I hope it picks up! Good luck with your new home gym! I that most people buy those things and get excited about it, then it ends up sitting in a dusty garage or basement not being used. An idea is (because you said it was expensive), track your workouts as if you were going to an expensive gym. Each time you work out it "goes towards" what it cost to buy that that thing. That way it keeps you motivated because you know at least you are making that purchase worthwhile, and eventually the idea is you worked out so much, the thing paid for itself and then some because you actually used it! Make sense? Makes sense! I am pretty positive that we will use it though. The main reason why we stopped going to the gym was because it was too far. Spending an hour each day to commute to the gym wasn't worth it for us. Wow, a home gym! I would love one of those, especially a treadmill. My recent post What Happened to My Allowance? Awesome gym! 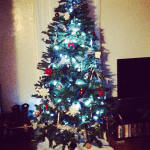 Have you looked into Craigslist or other online options to help you fill out the rest of the items without spending too much? We kind of look at craigslist but didn't see anything we really liked. Will have to look for a treadmill on there though! such a good post! love your blog as always, so smart! i want to find a treadmill too! 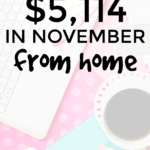 Awesome job on the extra income! 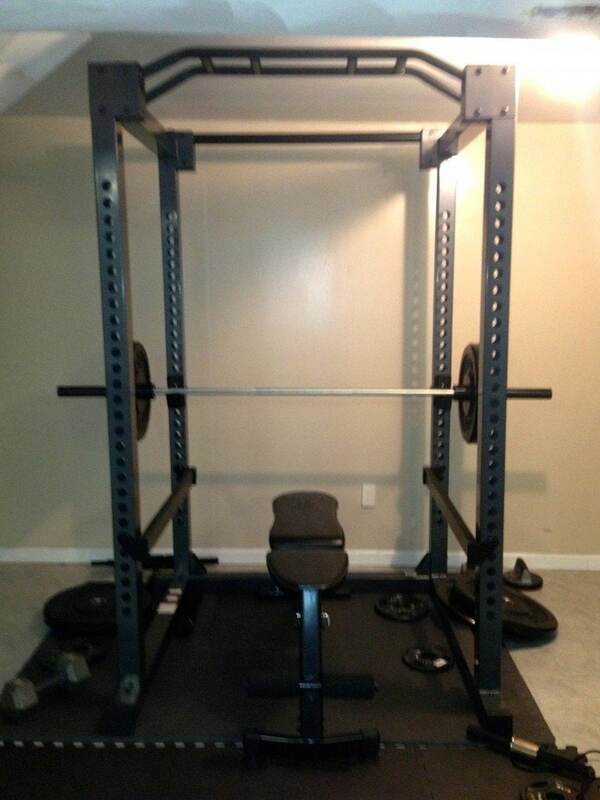 I bought a Smith Machine a couple years back (on Black Friday) and got an awesome deal on it. I can't believe the weights you bought were that expensive though. I bought a set of 300 Lbs. including the bar for $150 brand new. We bought a treadmill this past weekend also. We bought a little heavier duty one that can hold 325 Lbs with a 2.5 continuous HP motor. I think it was the ProForm 790T. It had pretty good reviews and was relatively easy to put together. Yeah W wanted the best material and brands, and he wanted the weights to be rubber so that they wouldn't crack the floor. Ugh so expensive! It was the cheapest price we found for what we wanted though. And we were looking into the ProForm! How much did you spend? It was $699 for the one we got. So far I like it. Makes sense about the weights. I have those foam mats underneath all my exercise equipment so it doesn't matter if I drop them. They should last him the rest of his life though so its not a bad investment. That's a good deal! I'll have to look into that. You are kicking some major tush with that extra income. That simply is awesome! Also I think it is great that you and W can motivate each other to tone up and stick to a vigorous workout routine together. And if the equipment is expensive, it will be well worth the investment if it is also well used! Thanks Jennifer! I'm glad that no one is tearing me apart for buying it. Very impressive with your extra income. A home gym can be a super convenient thing to have…no excuses! At one time I owned an elliptical machine, and it was very nice to have at home. We love it – you go girl! All the long hrs have paid off, the best is yet to come. Have a great day on purpose.